Home > New Sermon Series! Join us this Easter for a new sermon series on parenting. Starts Easter Sunday, April 21, 10 AM. Your kids might be able to hit a home run, but without Christ they will spend eternity separated from God. Your kids might excel at math and science, but do they have a relationship with their Creator? It is essential for parents to not just emphasize success on the field and in the classroom, but also success with God. 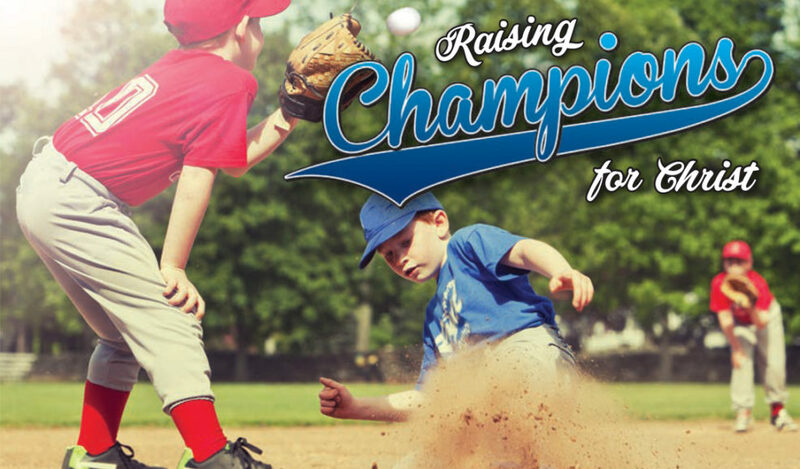 Join us on Easter Sunday as we kick off a new sermon series on raising champions for Christ. Discover timeless Biblical strategies for leading your kids to follow Christ for life. You only have eighteen years. Learn how to make them count for eternity. What to expect at Church Acadiana: Practical teaching. Passionate worship. Warm fellowship. Coffee & Refreshments. Casual dress code. Contemporary worship. Top-notch childcare for birth-3 years. And a gift for all first-timers! Join us at 10 AM for worship, or come early at 9:30 for a time of Meet & Greet, coffee and refreshments!